All learners are entitled to experience a senior phase where they can continue to develop the four capacities and achieve qualifications. 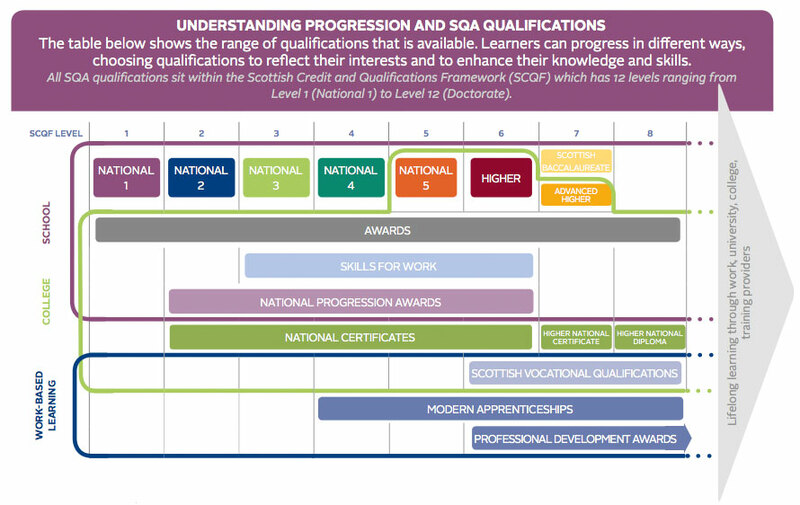 The curriculum framework and the qualifications system will provide a range of opportunities to meet the needs of all learners, whether aspiring to achievements at SCQF level 1 or at SCQF level 7 (Advanced Higher). The curriculum in the senior phase comprises more than programmes which lead to qualifications. There is a continuing emphasis, for example, on health and wellbeing appropriate to this phase, including physical activity and opportunities for personal achievement, service to others and practical experience of the world of work. For further information please see the 'related links' and 'related documents' sections on this page.